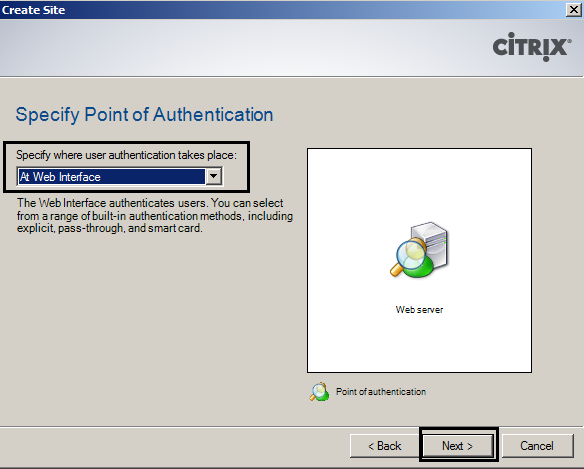 The Citrix Web Interface provides users access to XenApp 6.5 applications and content. It is also used by XenDesktop. 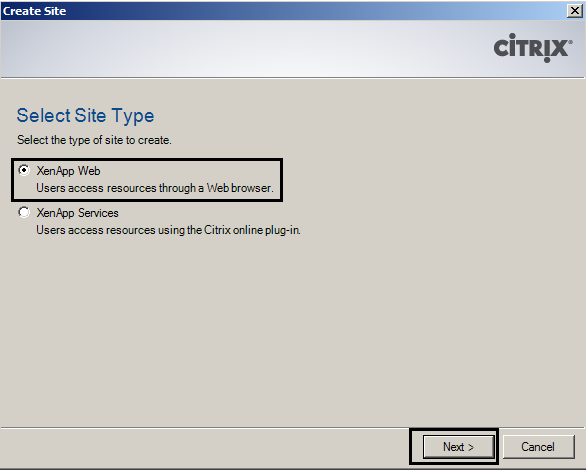 Users can access their resources through a standard Web browser or through the Citrix Receiver. The XML service on the designated XML brokers (which must be XenApp servers running the controller role), communicates with the web interface to determine which resources users have access to. 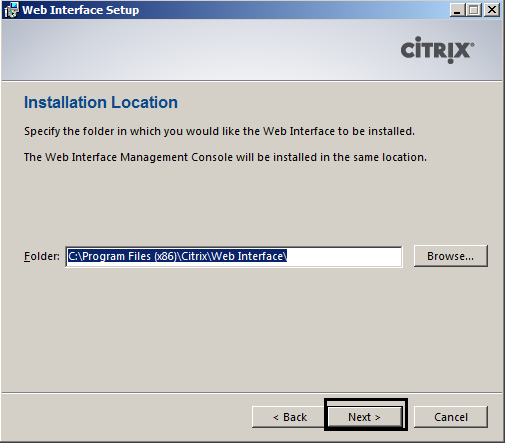 In this blog post we will look at how to install the Citrix Web Interface. We will also review the communication process of the Web Interface, and the two types of Web Interface sites that are available. 2. 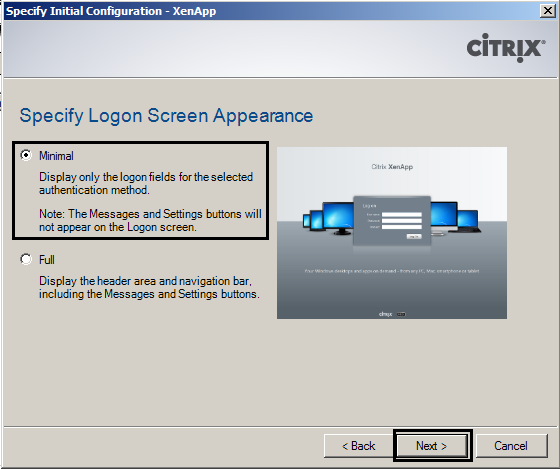 Web Interface forwards the credentials to the Citrix XML service, running on one or more (designated) XenApp servers with the Controller role. 6. 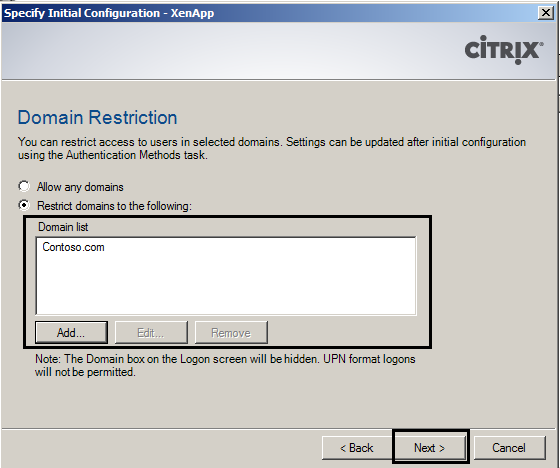 Web Interface contacts the XML Service on the Data Collector of the zone, to locate the least busy XenApp server, which is hosting the application the user wants to start. The Data Collector requests a secure ticket for the user from the least busy server. 8. The User initiates a connection with the server specified in the connection information of the ICA file. 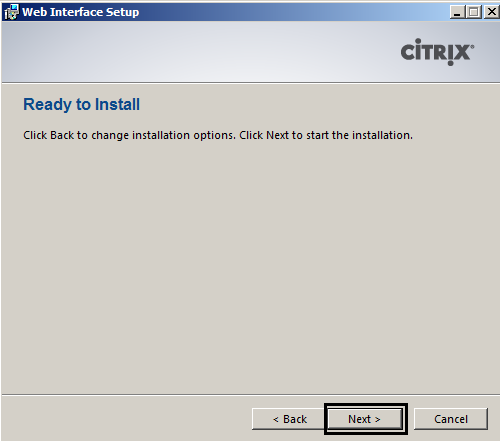 2.8 The Citrix Web Interface will be installed. 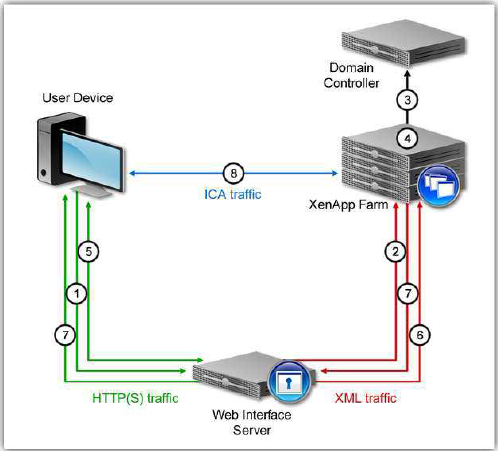 XenApp Web – A XenApp Web site allows users to access applications, desktops and content using a web browser. You type in the address of the web site, to access the log on page. 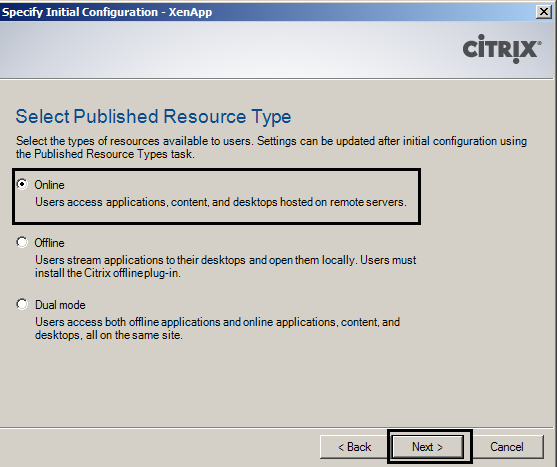 XenApp Services – This type of site allows users to access applications, desktops and content using a Citrix plug-in. The content will be made available to users on their desktop and start menu for example. 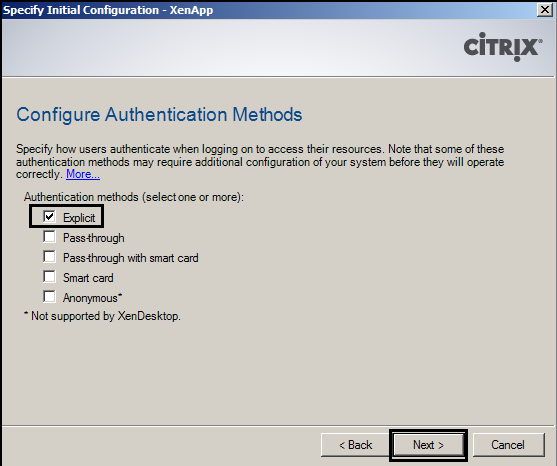 It’s important to remember that, even when accessing the XenApp web site type, you’ll still need to have Citrix Receiver or plug-in installed on your device. 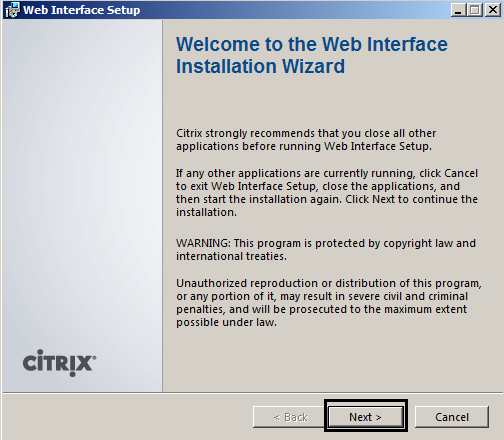 Let’s go ahead and create a XenApp web site. 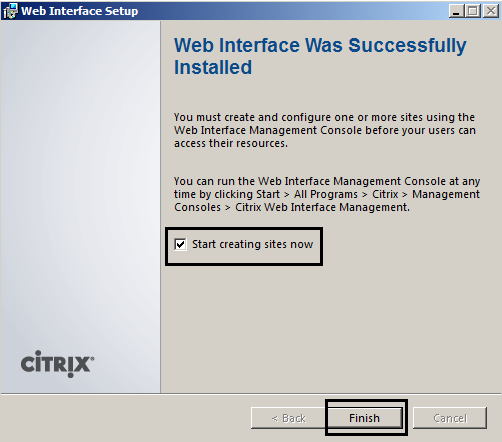 When you click Finish on step 3.9, you will be presented with the Citrix Web Interface Management Console. 3.3 On the Create Site page, you can make a few choices. 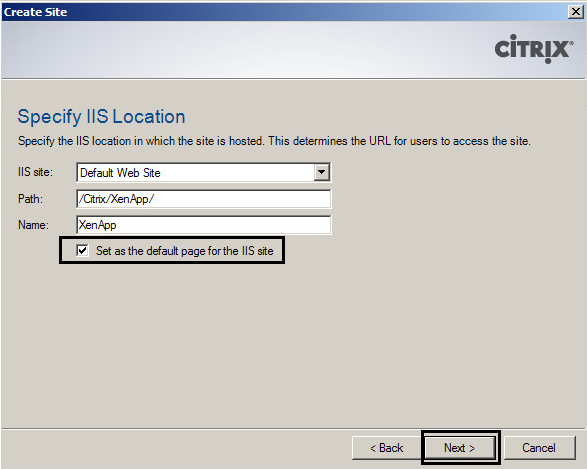 Just keep the default ones, but you can put a check mark next to Set as the default page for the IIS site, if you like. 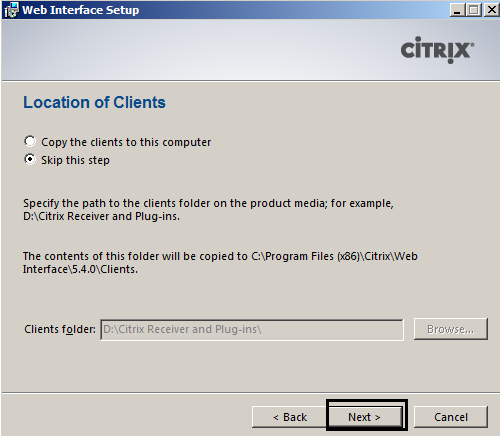 If you do this, you can just provide the name or IP address of the Web Interface server to connect to the XenApp Web site, instead of having to provide the complete path, such as WebInterface01 instead of WebInterface01/Citrix/XenApp. Click next when done. 3.4 Keep the default settings, then click Next. 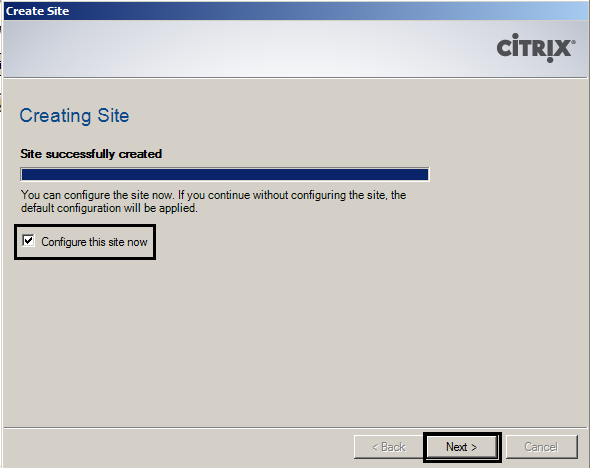 3.5 Click Next, and the site will be created. 3.7 Type the name of the farm. Then provide which servers will be acting as XML brokers. These must be XenApp servers running the controller role. 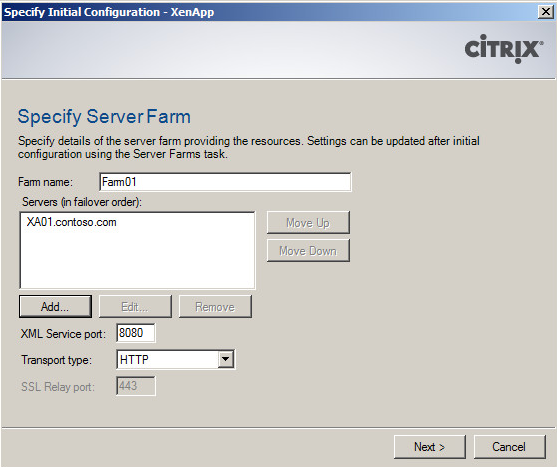 Then provide the port used to communicate with the XML service on these servers, and finally choose Transport type. Click Next. For the farm we will set up, the settings in the screen shot are correct. 3.8 I’ll discuss these in a later blog post, for now, just keep Explicit and click Next. 3.12 On the Confirm Settings page, click Finish. 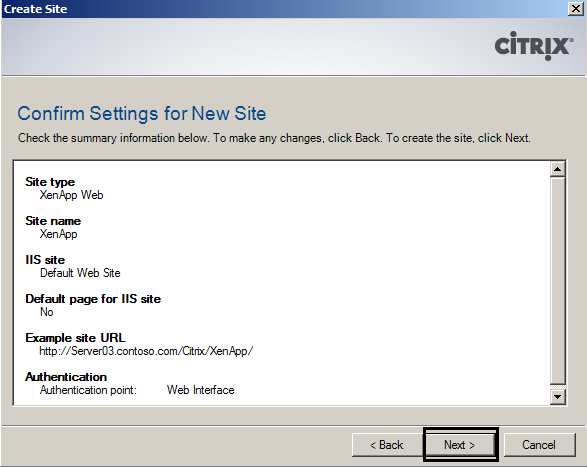 3.14 Start your web browser, write the name of your Web Interface server, and press Enter. You should be presented with the following screen. If your server is not connected to the internet, the page will show “loading now” for a while, before you are presented with this screen. This issue is caused by a CRL check sent to Verisign. If the Web Interface server cannot access the internet, the CRL check fails and times out. You can read more about it here.